This report, produced by the Trust for America's Health with support from several foundations including Kresge, calls for a new approach to health which prioritizes improving health and addressing major epidemics in the United States. The report highlights pressing crises and how investments could yield positive returns on investment by adopting proven health strategies, such as substance use prevention, programs to promote physical activity and connecting health and social services. 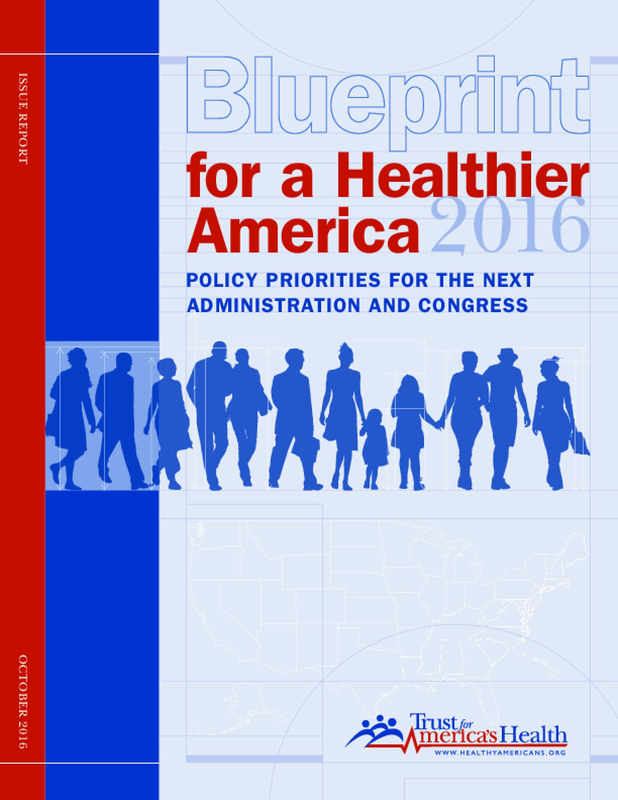 Copyright 2016 by Trust for America's Health. All rights reserved.